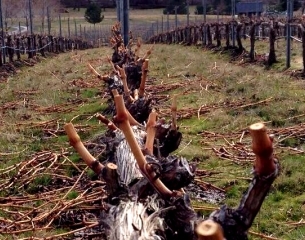 Pruning is done! 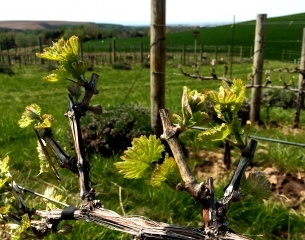 The vineyard is ready, and I am extremely hopeful this will be the first vintage from the vineyard to go into a FIGGINS bottle!!!! First Bud break finally showing up in One Big Holiday! Let the season begin. Lost Boy and Sun Also Sets popping today! Bud break is even and looks really great. Finally some warmth. Shouting Stone finally deciding to wake up. Cab is always later than Merlot. Tortoise vs Hare! 40F this morning! Brrrr. Really cool for this time of year. 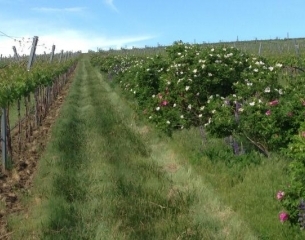 Virtually the whole vineyard is in bloom and the weather is perfect. 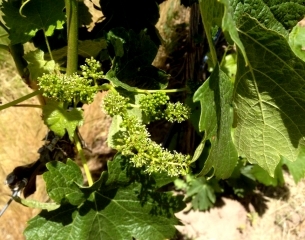 The smell of grape flowers is filling the air. Beautiful! We're bound for perfect fruit set. July must be right around the corner. We topped 100F for the first time today. Still getting wonderfully cool mornings. What a perfect July. We made it through the entire month without topping 100. Very Unusual. High's were upper 80's to mid 90's with nights in the 50's. Ideal!! Easy Plateau and Hallelujah are almost fully colored. 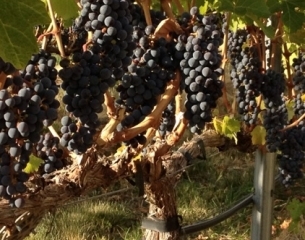 Should be no problem getting Petit Verdot ripe if this weather holds and we have a normal fall. Nearly all the blocks except Petit Verdot are fully colored! All the heat of this month has caught us up from the late start. Berries are small and clusters perfect. All Merlot is at 20+ brix and tasting really good already! The first Harvest of Shouting Stones begins. It's like sending a kid off to college - I have butterflies in my stomach. I'm pooped - our crew has done an amazing job! 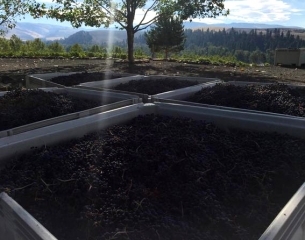 All Petit Verdot got picked today under clear skies. In the tank cold soaking. A couple days at Elk camp before I come back to pitch yeast! Another cool spring. These late bud breaks are taxing! Finally reached 80F today! 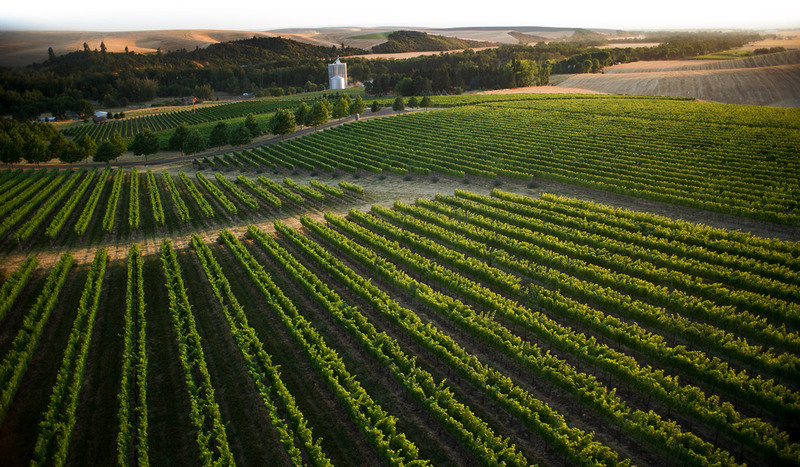 You could almost watch the vines grow today. Our crew is shoot thinning like crazy. We're getting a little break from the heat of the last 6 weeks. It feels good. Color is starting to show up in Merlot! 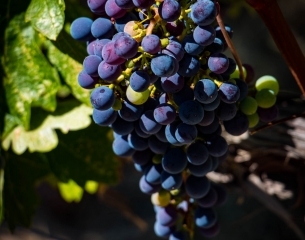 Bring on the Verasion! Harvest is just around the corner. 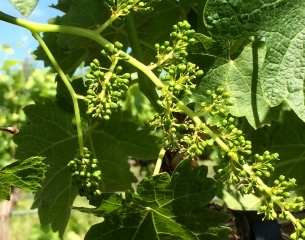 Clusters are tasting great on the vine. We escaped the heat without much sunburn. I'm just waiting for some of the pulps in Merlot to "clear." Started Harvest today. Lost boy is in the can! Fruit is in perfect condition and really tasting good. We barely escaped frost last night. It doesn't look good for overnight tonight. Our crew just put in the most heroic picking effort I have ever seen. They are exhausted. The morning of the 11th, despite running wind machines, all our leaves were frosted off. Is it wrong that I had to build a tab in my fermentations spreadsheet to track ferments simply titled "Hell Week". This is one for the records. 51F for a high today. Really?, I mean, Really? Where is Al Gore when we need him? After a week of nice weather, it is back in the 50's. We are running a solid 3 weeks late at this point on phenology. I hope summer eventually comes and catches us up. Frustrating! Well, its the first day of summer, and we didn't hit 70F! Are you kidding me? 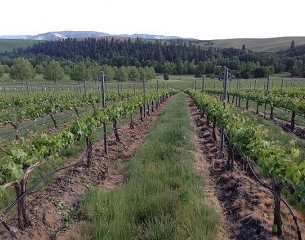 The vines are progressing nicely, but we continue to lose ground to the race for ripeness. Bloom is over finally! I am seeing a lot of shatter - or poor set, due to the rains and cool weather we had for flowering. It's going to be a small crop! I am refurbishing a small industrial building as the new winery for FIGGINS. Making the move from Artifex. It's much closer to the vineyard for me. Standing in Hallelujuh, and Hallelejuh indeed! It is 100F and I am loving it! This should help dry out the soil profile and slow shoot growth down. I just got word my sorting table and elevator on the way from France is delayed due to a dock workers strike! Seriously? What, are the croissants soggy or something? Jason and I made a tough decision to drop another 1/2 ton per acre on the ground. I would much rather get a small crop ripe than a moderate crop green! The weather has been just perfect now for several weeks. 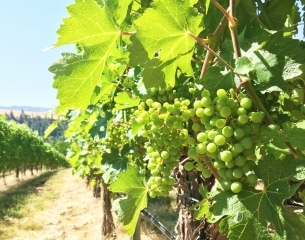 All Varietals are 90% through Verasion except Petit Verdot. 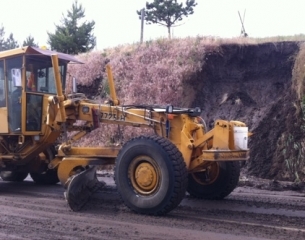 All the contractors are racing to finish final touches on the new winery. Thank goodness we are running late in the vineyard! All equipment has arrived by the skin of our teeth. I'm going to make the call to start harvest tomorrow! Lost Boy is tasting amazing and ready! Well, it's late, but the weather has been absolutely stunning - the perfect Indian Summer! Over the last two days we picked Easy Plateau and Hallelujah. Shouting Stone being picked this morning! Everything will now be in the door! Thank God for an amazing October. Jason cut through hundreds of buds in the last few days and we survived the thanksgiving freeze in remarkable condition. We finally hit our first 80F day today. Bring on the sunrays! Everything is growing well now. Freeze damage is worst in Merlot, so we will definitely see some reduced yields there, but Cab and Petit Verdot are unscathed. The crew is shoot thinning and tucking shoots as fast as we can. The wet winter and spring is going to make for lots of extra canopy work this year. Tomorrow is the first day of summer and the weather is finally turning. 378 heat units to date. Even cooler than 2010 at 434 and way cooler than 2009 at 688. Oh the joys of irrigation! Mainline blew out, filled a gopher condo complex, and finally liquified enough mud to bury Mill Creek Rd 18" deep! Naturally happened at 5 pm! Making the final 09 blend decision tonight! I'm super happy with the results. Splitting hairs but every little tweak counts. Might have to name the next block we plant after none other than ALLISON KRAUSS AND UNION STATION. 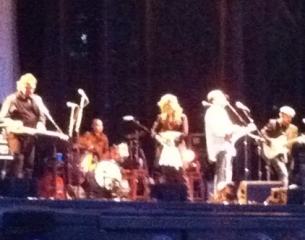 Jerry Douglas walks on Dobro water. My hero. Bottling 09 FIGGINS today with the girls help! Mill Creek, or "kooskooskee" as the natives used to call it, runs just below FIGGINS. Here's another benefit of living in this special place. 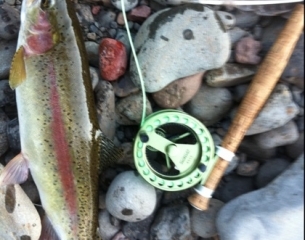 My finest of the season so far and in a dry fly! 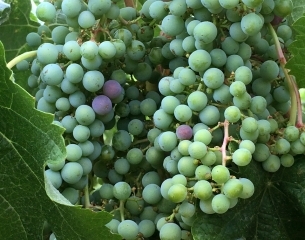 Veraison! First signs of color have shown up in Cash & Tobacco. 98F today. We are still WAY behind but the forcast is great. July and August have been amazingly consistent. The last three weeks have been perfectly above normal temps. We are still way behind, but gaining ground. Everything but Petit Verdot is fully colored. Fingers crossed. Think sun! It was so great to see everyone who made our Oct 2011 release weekend a great success. 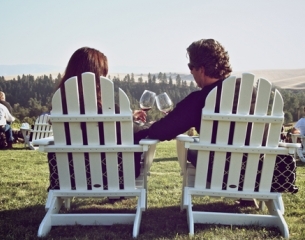 Keep thinking sun - we need more days like Saturday to make the '11 vintage a success! A huge thanks to all of you! The last week has been dry, mostly sunny, and 5-7 degrees above normal. 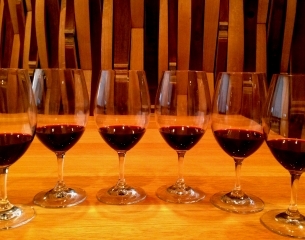 The Merlot is SO close and Cabernet is close behind. 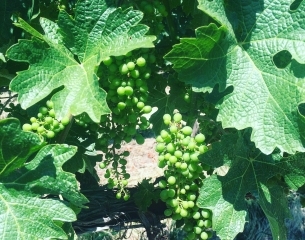 Petit Verdot is needing a miracle to get ripe. IT HAS BEGUN!!! Dodged two nights of frost and have begun Merlot harvest this morning. Wicked Twisted Road is first. Fruit tastes awesome & is in perfect condition. All the Cabernet will be safe, sound, and in tank by tomorrow! What a miracle vintage! First in the barn....Mystifies Me block. Chance of snow the next few days so none too soon! The '11's in barrel are stunning! I've never seen such great acidity in wines with such pure fruit. Truly exciting. Malolactic fermentation just beginning. 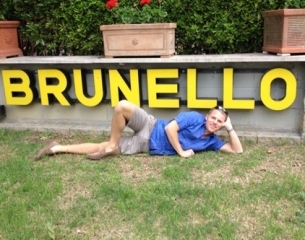 Heidi and I are just back from a "research" trip to Tuscany. Simply fabulous! 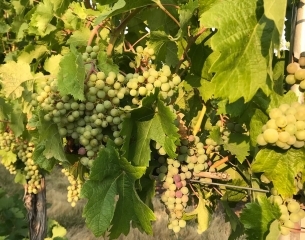 I was incredibly inspired by the wine, food and people and am even more excited about future opportunities in our wine region here in Walla Walla. 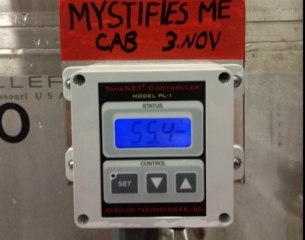 The final blend of 2010's is done and ready for bottling. It is an epic vintage and I think it epitomizes what I am trying to achieve with FIGGINS. 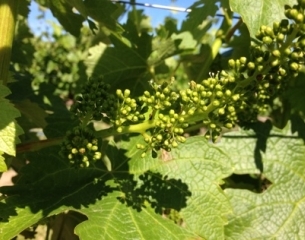 All Cabernet and Merlot blocks beginning bloom, and the weather couldn't be more perfect! 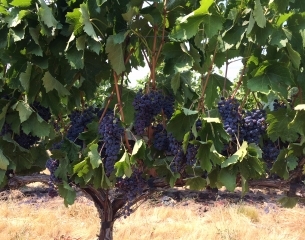 No sign yet in Petit Verdot, but tomorrow's expected 90F will bring it quickly. '12 is off to a great start. 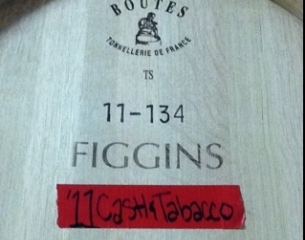 Bottling 2010 FIGGINS Estate Red today! Possibly the finest vintage of my career thus far. Gettin Figgy with it!! 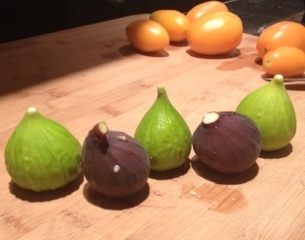 I thought I'd share a fun pic of the first figs of the year from our home garden. Yum!! 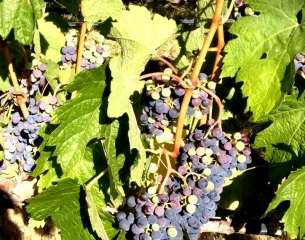 Verasion at FIGGINS! This picture in Shouting Stones. Beautiful crop hanging! The crop is looking perfect! Everything tasting great with plenty of season ahead of us. Nice to have a "normal" year after the last few cool seasons! Harvest Begins!! 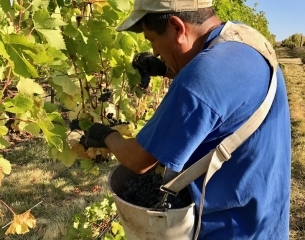 We picked our first Merlot of the season from Sun Also Sets in perfect condition. I'm looking forward to seeing all of you who are coming to our release party this weekend! 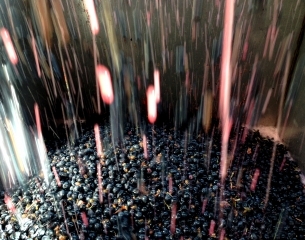 Well all the fruit from the spectacular '12 harvest is in the door, and mostly pressed out and in barrel. We are working hard to get the FIGGINS Wine Studio ready for the Fall Release festivities! 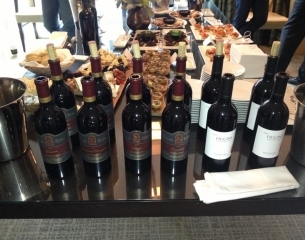 Had a great time tasting with some of the most passionate somms & buyers in the country. Thanks Seattle & Portland! 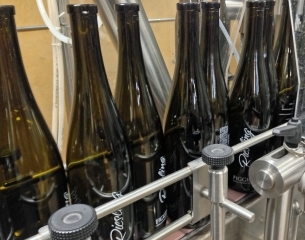 The 2012 vintage of FIGGINS Riesling is officially in bottle as of today. ...And so vintage '13 begins! 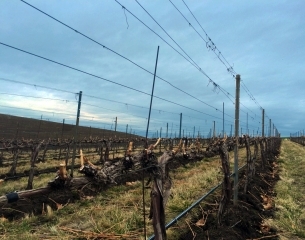 Pre-pruning at Figgins Estate Vineyard as the snow recedes in the Blue Mountains. The most even spring growth I've ever seen. Perfect start. 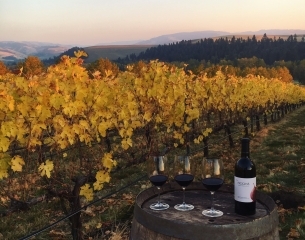 This photo is of Shouting Stones Cabernet at Figgins Estate Vineyard. 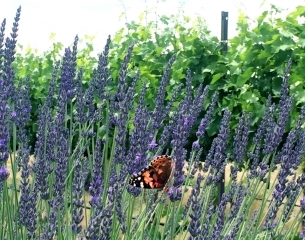 Biodiversity plantings are in their full blooming glory at Figgins Estate Vineyard. 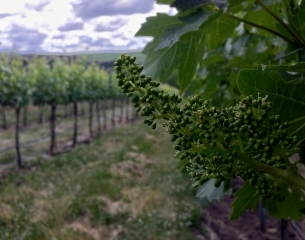 Merlot and Petit Verdot have started bloom. This photo was taken in Easy Plateau. 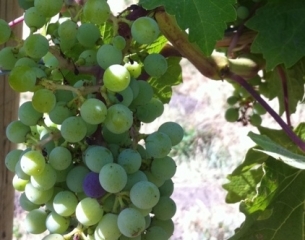 First time I've seen veraison in July at FIGGINS. This is Merlot from Lost Boy block. Things are looking good down the home stretch. Crush 2013 is approaching quickly. 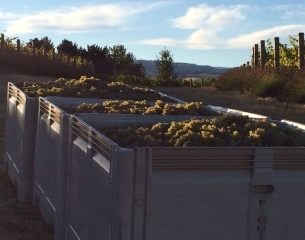 Picked at the crack of dawn at a crisp 39F, the first bin of fruit is in off of the vineyard. 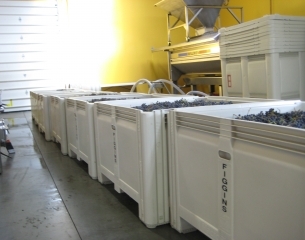 The making of 2013 FIGGINS Estate Riesling has commenced. 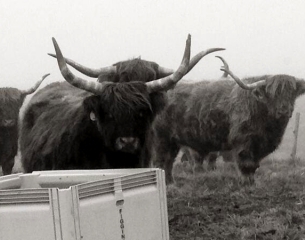 Harvest 2013 has come to a close, the wine is all in barrel, and the Lostine Cattle Company Scottish Highlanders get to enjoy the last of the Cabernet pommace from Figgins Estate Vineyard. 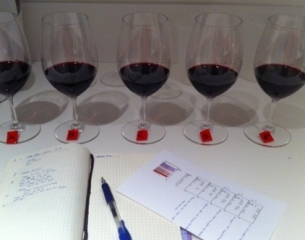 Blending trials for the 2012 Estate Red Wine begin! 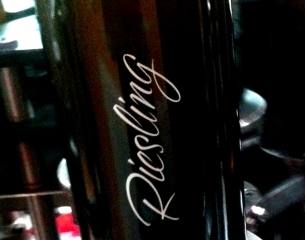 2013 Riesling is in bottle. Next week brings calligraphy, then bottle aging until the September 2014 release. 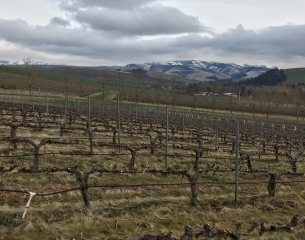 Pruning well underway at Figgins Estate Vineyard. 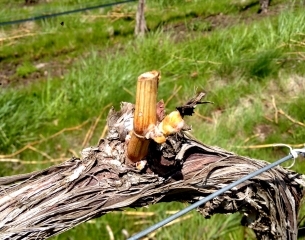 Bud break has commenced with the Petit Verdot leading the way. 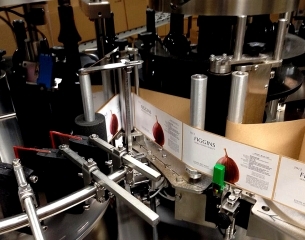 Bottling '12 FIGGINS Estate Red Wine today. I'm so excited about this wine. Only 15 months until release! 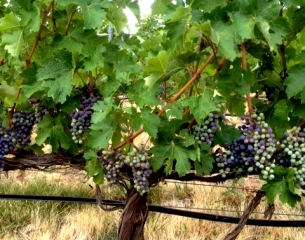 Véraison begins in Lost Boy Merlot. 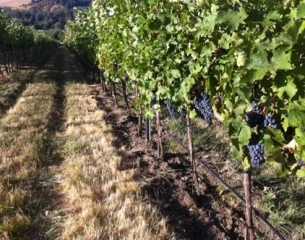 Color change continues in Shouting Stones Cabernet Sauvignon. 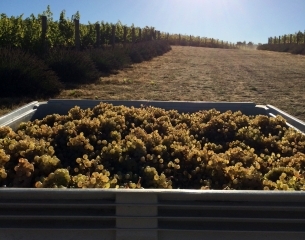 The 2014 harvest creeps closer to fruition. Hallelujah block Petit Verdot darkening quickly. 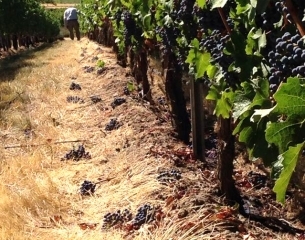 Making the final thinning pass at Figgins Estate Cabernet today. Less fruit = better wine! 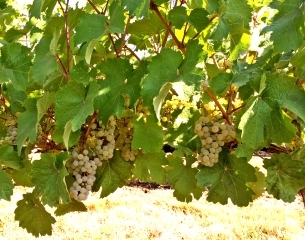 Riesling grapes basking in the sun, patiently awaiting their time to shine at the winery. 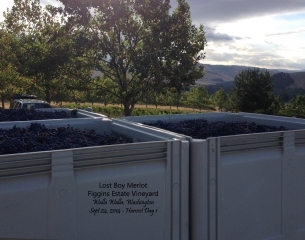 Lost Boy Merlot is the first to hit the crush pad as we begin harvest at Figgins Estate! 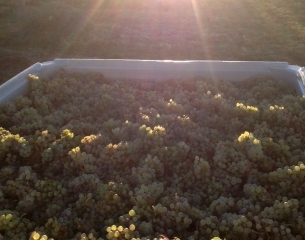 Our small 1/2 acre of Estate Riesling picked at first light. 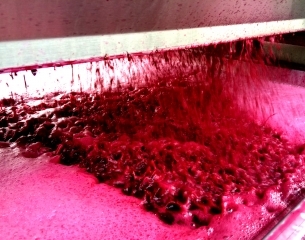 One Big Holiday block Merlot in the press. Loving the insane depth of color in the 2014's so far. 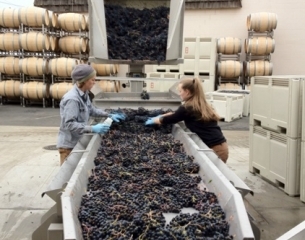 Petit Verdot is the last in the door for harvest 2014. And on what could be one of the most gorgeous October days ever! 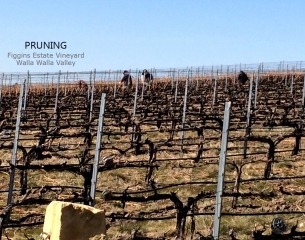 Spring is here and the crew is hard at work pruning. 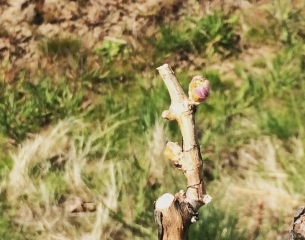 Bud break 2015 is complete at Figgins Estate Vineyard. 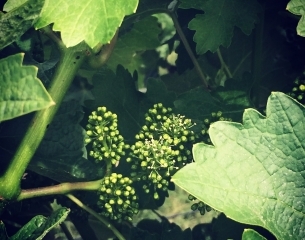 Bloom showing early in Lost Boy Merlot block. 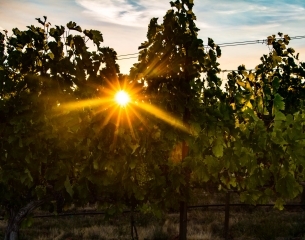 A moment of beautiful simplicity and a symbol of transformation in the vineyard. 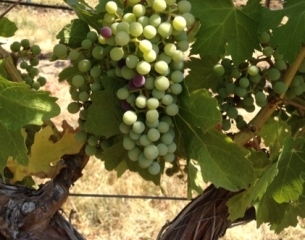 Veraison in Lost Boy Merlot block. Looks like things will be early this year! So much color. So early! 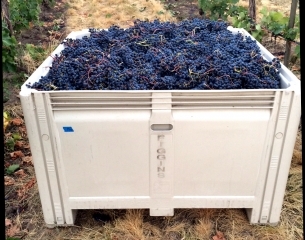 2015 harvest begins at Figgins Estate Vineyard with Lost Boy Merlot! Good Morning, Sunshine! 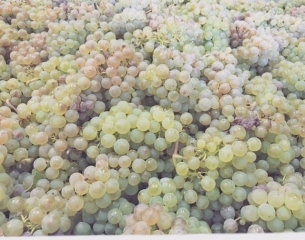 2015 Riesling is in the door! 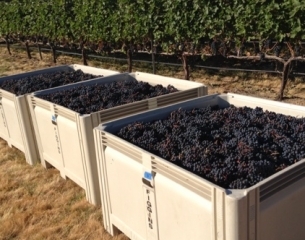 The last of the fruit from Figgins Estate Vineyard is officially in the door with this block of Petit Verdot. 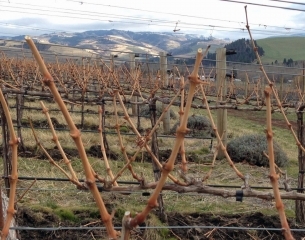 Beginning to feel a little bit like Spring as our pruning commences! 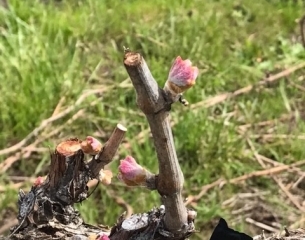 Bud break begins at Figgins Estate Vineyard! A few more Merlot berries starting to turn. The sun setting through Cash & Tobacco. Harvest is just around the corner. 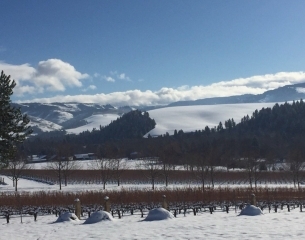 It was a stunning day at FIGGINS! 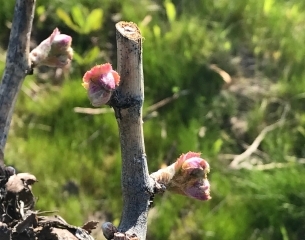 Merlot bud break has begun! 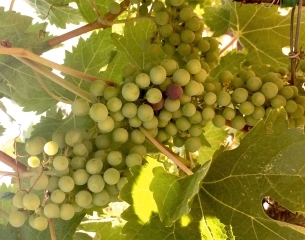 Days away from veraison up at the Estate! 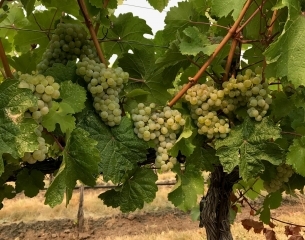 Riesling less than a month from harvest! 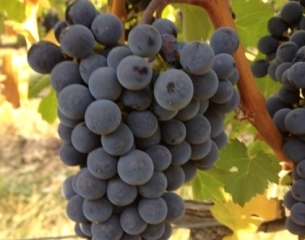 Excited to announce that all of our Merlot has been harvested! Cheers to another spectacular vintage! 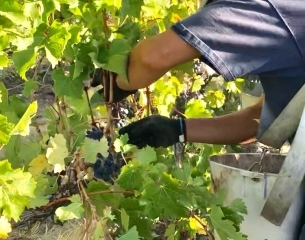 Our crew is hard at work harvesting Merlot!